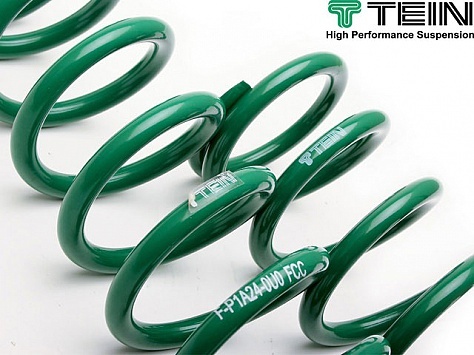 TEIN H Tech springs utilize the latest spring and material technology to optimize comfort, performance, and quality. Designed and tested in North America to be used in conjunction with OEM or similar shocks for excellent ride comfort and slightly increased handling. The line is produced with Vanadium (SAE9254V), which is durable, lightweight, and has properties to retain more spring stroke. High.Tech springs are designed for those seeking a slightly lowered stance while maintaining high ride quality at a reasonable price. Most vehicles will attain a 30mm drop for a more attractive appearance, added performance, and excellent comfort. Includes a one year limited warranty.